The BH G 6442 Pioneer Classic Treadmill features a beautiful, sleek design along with the innovative Plug & Run technology, so that it can be easily installed in 3 Easy Clicks. It is driven by a 2.0 HP motor, which produces a maximum speed of 14 km/hr. This treadmill has a LCD display to show your workout details and also has the Soft Drop Technology to ensure the treadmill deck slowly and safely assumes its position on the floor after being compactly folded up and away. Soft Drop System – This ensure the treadmill deck slowly and safely assumes its position on the floor after being compactly folded up and away. Display- Its 3 large LCD window display helps to keep track on your workout progress. The latest cost of BH G 6442 Pioneer Classic Treadmill will be updated soon. *Note: Most of the sites, stores or shopping portals listed above sell BH G 6442 Pioneer Classic Treadmill with discounts and other exciting offers. 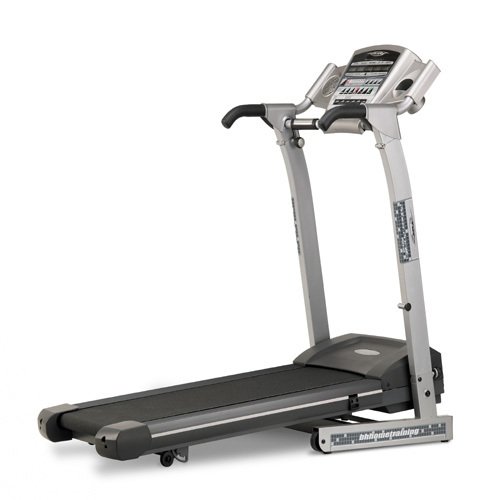 There is a possibility that the some of above websites are not selling BH G 6442 Pioneer Classic Treadmill now. Toughtrain.com is not liable for such cases or instances. Also we do not recommend any seller for BH G 6442 Pioneer Classic Treadmill and a buyer should buy from where he/she gets best deal with quality of products, service and on time delivery (shipment). I have a BH treadmill and is giving me an error code (E1) at start up time and I don’t have the owners manual. How can I troubleshoot that code the treadmill is giving me?